For over 25 years ATC has specialized in the design and manufacture of durable, direct drive mobile refrigeration systems. Our systems are simple and robust, and they avoid the pitfalls of complex solutions that frequently break down and are expensive to repair. For a Fleet Manager, this means your clients get a more reliable refrigerated Sprinter and Metris with less upfront investment and lower maintenance cost. For a Fleet Manager, this means your clients get a more reliable refrigerated Sprinter and Metris with less upfront investment and lower maintenance cost. We customize our refrigeration solutions to meet your unique needs, whatever they may be! That’s because, at ATC, we know that when it comes to refrigeration for the Mercedes Benz Sprinter Van and Metris, you don’t need to make it complicated. You just need a reliable solution that does exactly what your clients need. Our in-cab control lets you set and monitor the desired cargo area temperature via a digital display, that ensures your peace of mind. Our in-cab control lets you set and monitor the desired cargo area temperature via a digital display, that ensures your peace of mind. 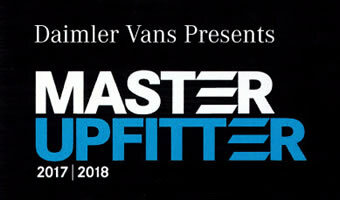 The Mercedes-Benz Master Upfitter program ensures that Mercedes-Benz only works with top upfitters and bodybuilding specialists. 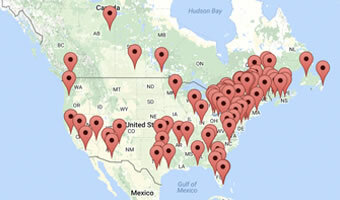 As a certified Master Upfitter, ATC Truck Refrigeration is a member of this exclusive network of Master Upfitters. 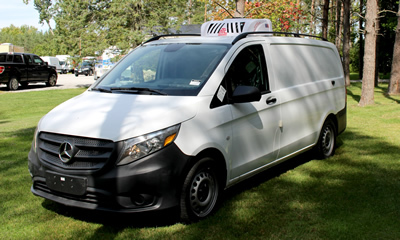 Our refrigeration units for Mercedes-Benz Metris and Sprinter vans meet high-quality standards, and we remain diligent in our commitment to self-certification practices including Body and Equipment Guidelines. Our Refrigerated Sprinter and Metris solutions meet the high-quality standards expected from Mercedes-Benz, and remain diligent in our commitment to self-certification practices including Body and Equipment Guidelines.